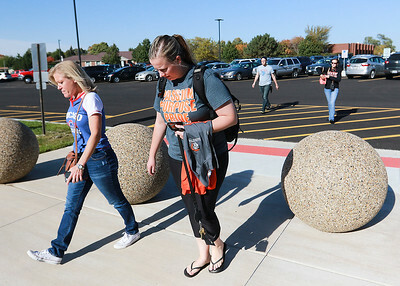 Sarah Nader- snader@shawmedia.com The 160-member McHenry Community High School's Educators' Association arrives at McHenry West High School to vote on whether to ratify the tentative agreement reached early Saturday. If all goes well, students will start school Tuesday after missing seven days. 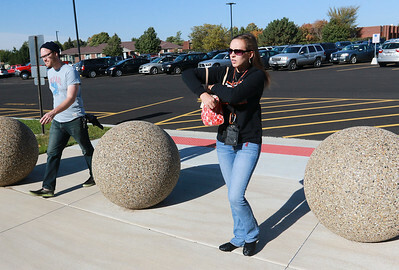 Sarah Nader- snader@shawmedia.com McHenry teacher Adrianna Stull arrives at McHenry West High School to vote on whether to ratify the tentative agreement reached early Saturday. If all goes well, students will start school Tuesday after missing seven days. McHenry teacher Adrianna Stull arrives at McHenry West High School to vote on whether to ratify the tentative agreement reached early Saturday. If all goes well, students will start school Tuesday after missing seven days.